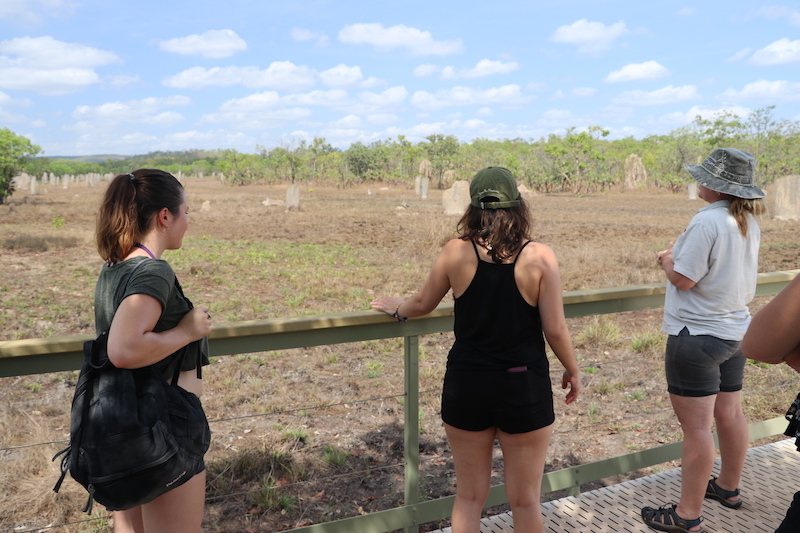 We travel approximately two hours south from Darwin, past abandoned WWII airstrips and the town of Batchelor, for the journey through to Litchfield National Park. Ascend the rocky Tabletop Range where dry woodlands and forests dominate the huge sandstone plateau. 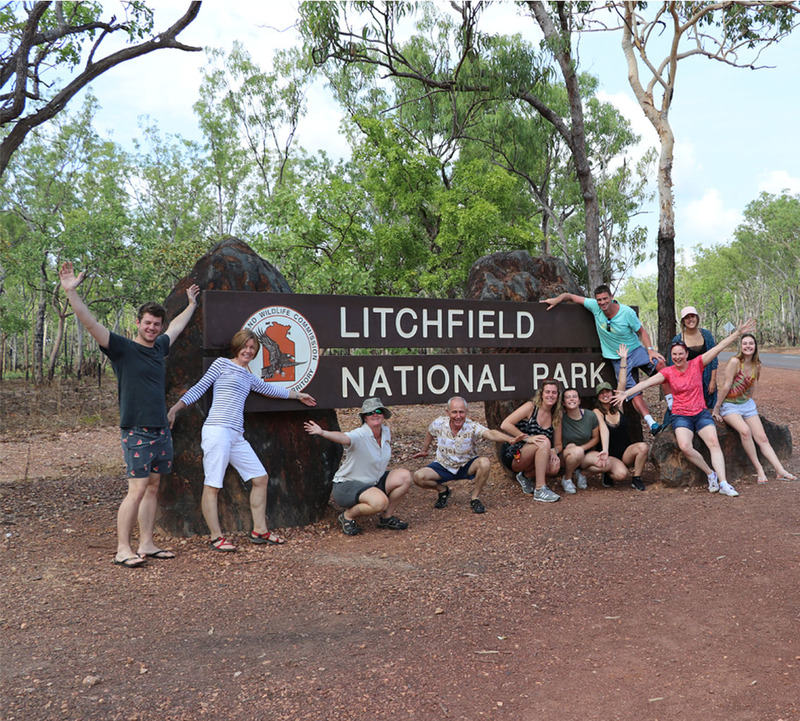 Arrive at Litchfield National Park. 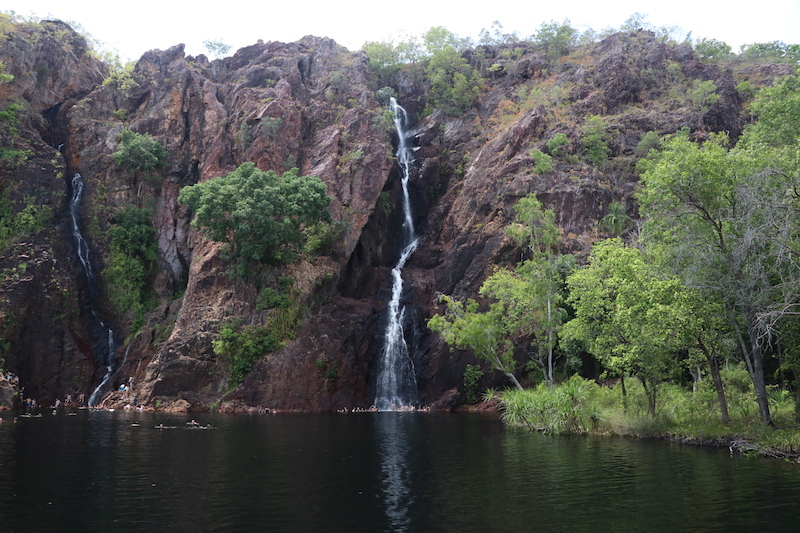 This fascinating, uniquely beautiful area was originally the home of the Aboriginal Wagait people. 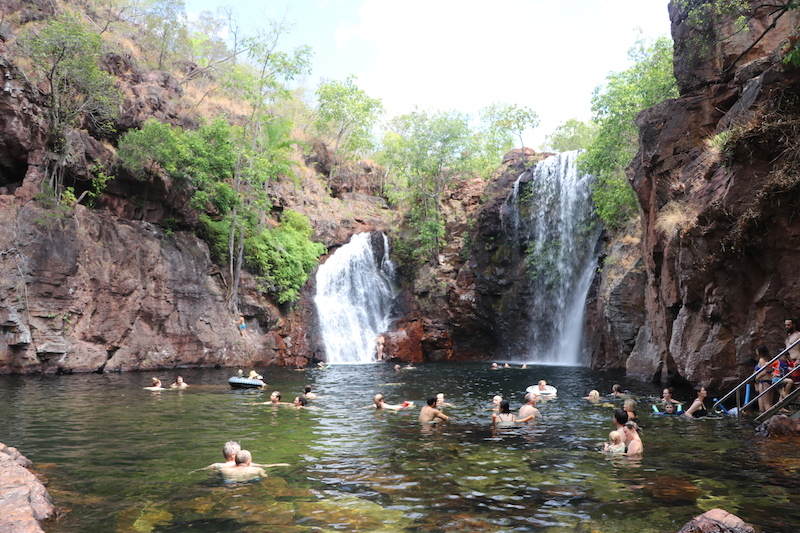 Established as a National Park in 1986, Litchfield National Park is a truely stunning destination enjoyed by locals and visitors alike. 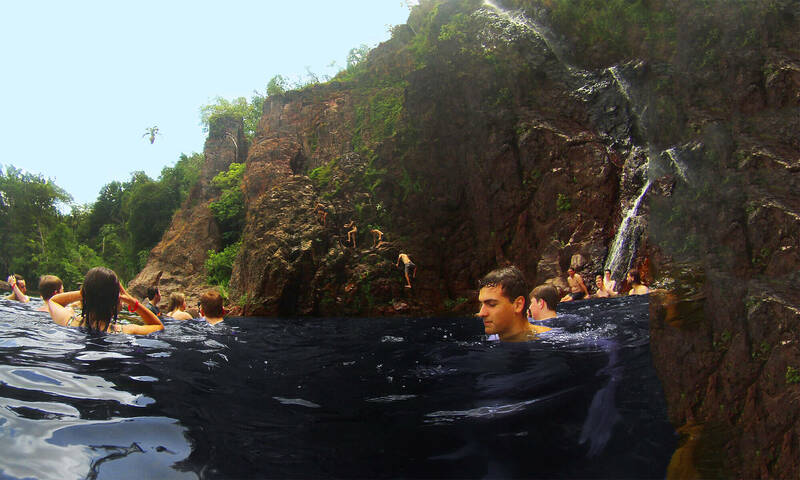 You will take in the splendour of thundering waterfalls, picturesque rainforests and sacred historic sites as we begin our Swimming Adventure. 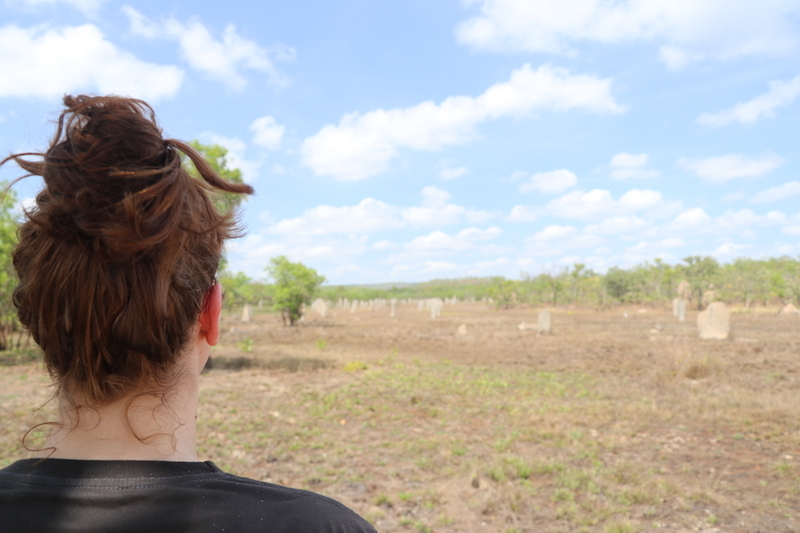 Many of the Wagait, who are the traditional custodians, still call Litchfield home. After some morning tea you can look down from the high vantage point of the Florence Falls Lookout, to take in the natural beauty as the clear fresh water cascades down into the swimming hole. Take your time as you make your way down the 160 step staircase to the spectacular swimming hole under the thundering Florence Falls. Here you will find dozens of large fish swimming around you in the shallows as you swim in the pristine clear water. 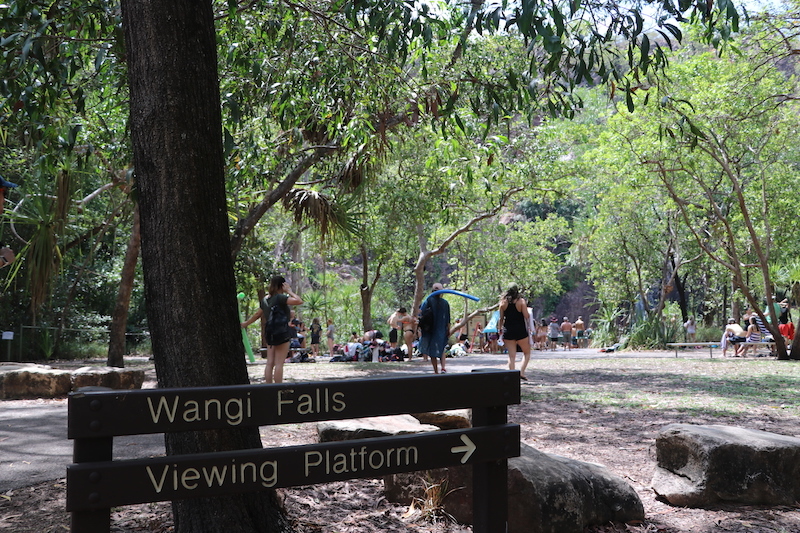 Wangi is one of the most accessible of the Litchfield Swimming holes and is the perfect spot to have some lunch and enjoy a dip in it’s clean fresh water. 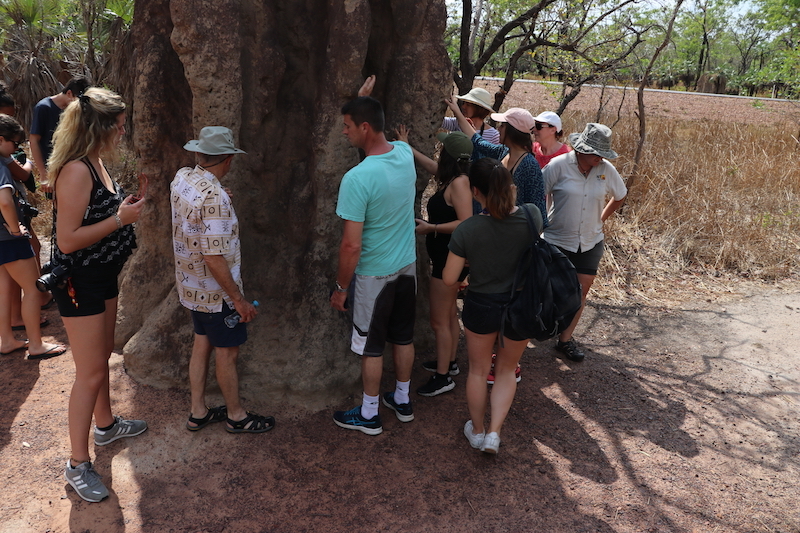 Here you will also have the opportunity to take a stroll along the boardwalk, finding different vantage points of the spectacular falls as well as take in the surrounding plant and wildlife. 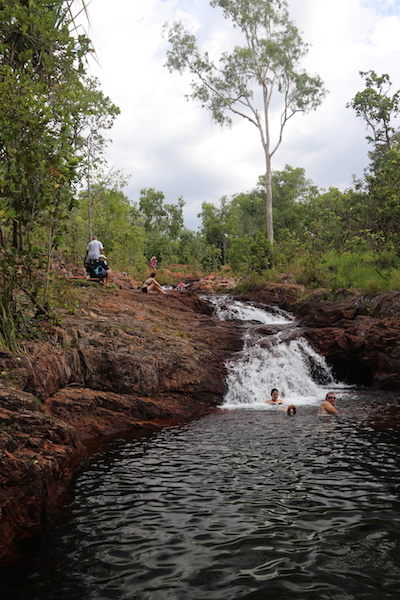 After lunch we head for Buley Rockhole, a series of cascading waterfalls and rock-holes where you will find your own special spot to take a dip and enjoy the surrounding environment. It’s a popular spot for tourists and locals due to it’s easy location and access. Here, we will enjoy a relaxing swim in the serenity that is one of the Top Ends best destinations. 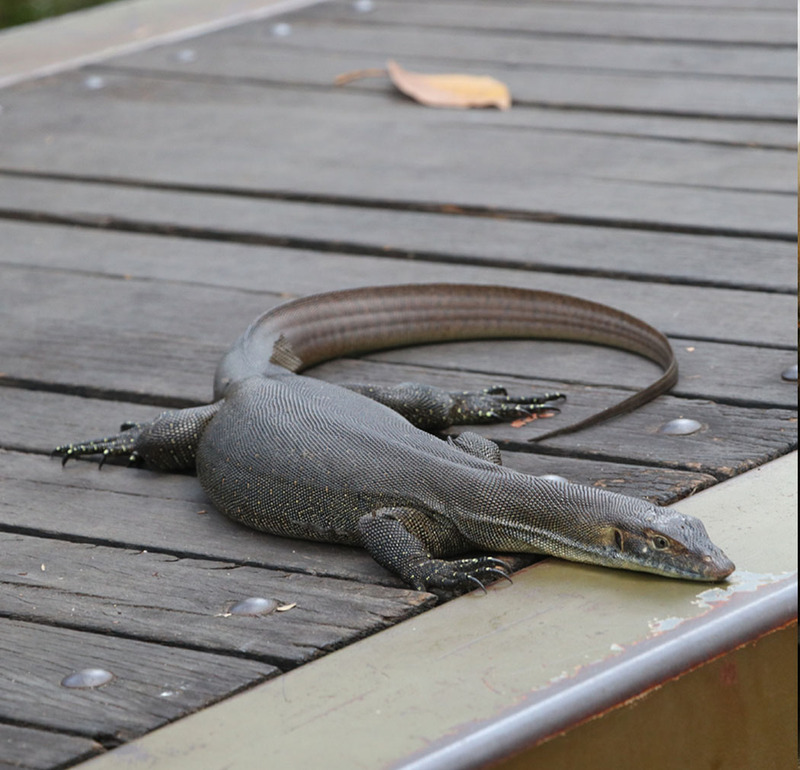 Hat & Sunscreen, bathers, towels, drink bottle, change of clothes, comfortable shoes, insect repellent & a camera! Snorkelling goggles & swimming noodles!